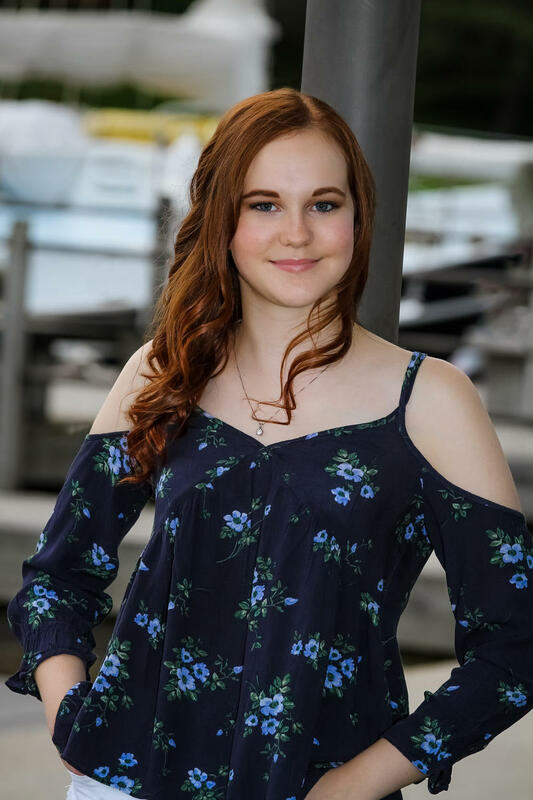 The Four Woods Quartet is made up of high school students from Interlochen Arts Camp. 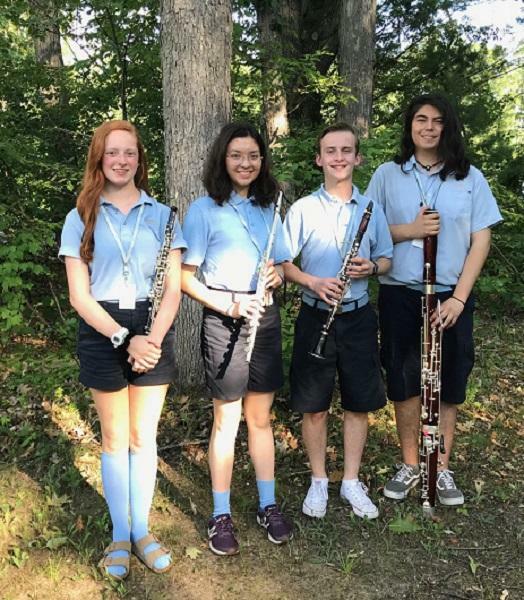 They are Cindy Kaiser (flute), Anna Johnston (oboe), Drew Franklin (clarinet) and Hunter Begay (bassoon). 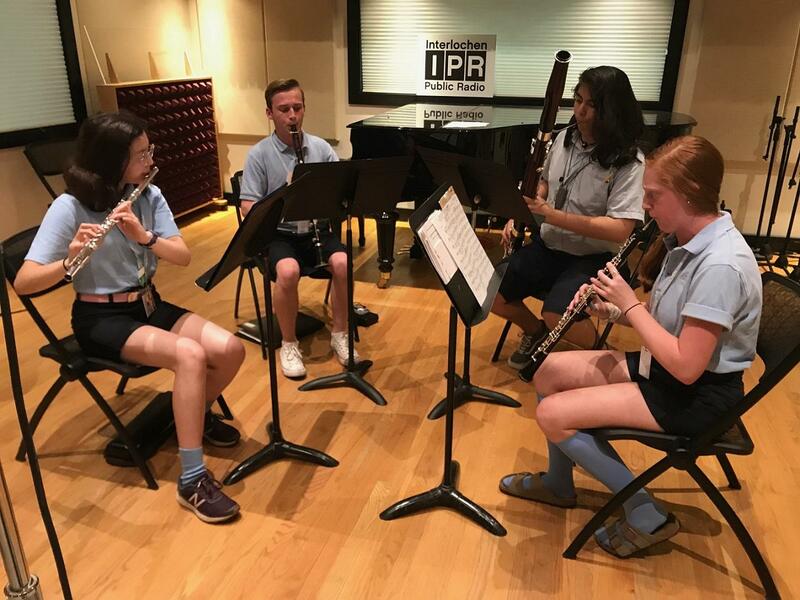 The quartet recently visited Studio A at Interlochen Public Radio to perform the Northland Suite by Carl Busch. Busch was a guest conductor at Interlochen for many summers until he died in 1943. The students in the quartet explained that the Northland Suite has a very special connection to Interlochen. Each movement is named for a different Interlochen scene, like "Pine Tree Trail" and "Moonbeams on the Lake." What they didn't know, however, was that they were making the world premiere recording of the piece! Hear the entire interview and performance below. For video of the Four Woods Quartet performing a movement from Busch's Northland Suite, visit the Interlochen Public Radio Facebook page. The Four Woods Quartet is coached by Henry (Hank) Skolnick and Douglas Spaniol.